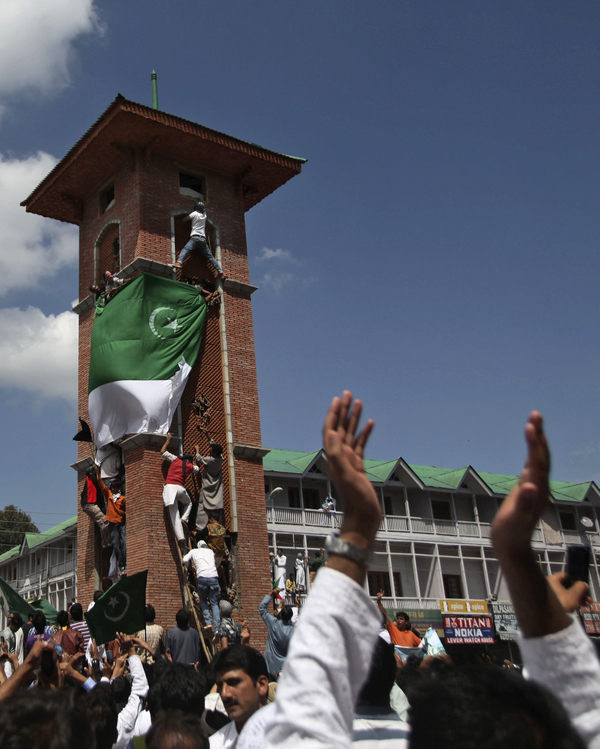 Recently there was a lot of opposition from the Indian government, media (typist barkha) and other intellectuals over BJP's plan to hoist the flag in Lal Chowk and they were successful in stopping it. But here we have a large Pakistani flag hoist in the same place and no security personnel, Barkha dutta, Manmohan Singh around?! !